I love snacking. It’s one of my favourite past times. If I am watching the footy, a movie, or if friends are coming over, there must be snacks. Chips and dips are always a crowd pleaser and so easy. Now I do love guacamole, but this recipe for healthy sweet potato hummus with its spicy flavour is definitely one of my new favourites. Hummus is so easy to make and for some reason, it can be an expensive dip in the shops, even though it uses low-cost ingredients. To add a little sweetness and colour to our recipe we use roasted sweet potato. Sweet potatoes are great as they are full of beta-carotene, are low-gi and work great with spices like cumin and ground coriander. To make this recipe we use a basic hummus recipe and spiced it up using cumin, coriander, and smoked paprika along with the roasted sweet potato. 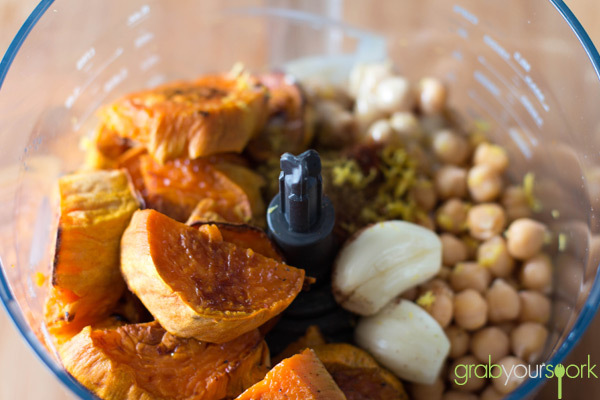 After roasting the sweet potato first, simply add this to the remaining ingredients, blitz in the food processor and voila! 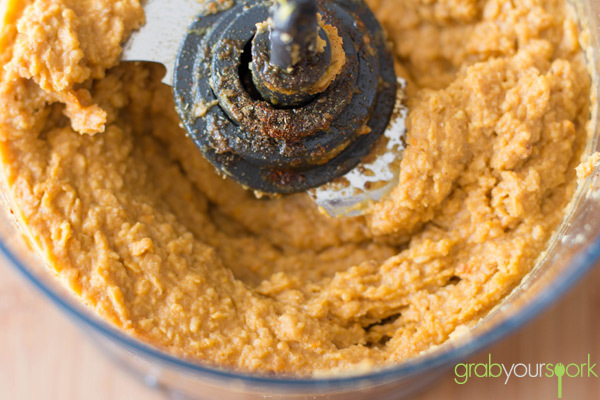 Homemade sweet potato hummus! We usually serve the sweet potato hummus with crackers, some fresh vegetables or if we have some time, some of Brooke’s homemade green onion flat bread! If you are looking for other dips and spreads then check out our Basil Pesto Recipe or Simple Guacamole Recipe. 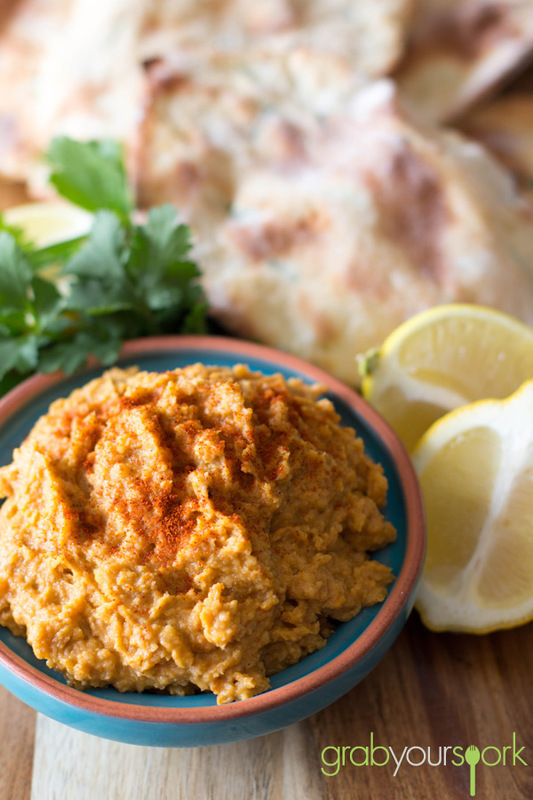 Sweet potato hummus made with cumin, coriander and smoked paprika along with the hero ingredient roasted sweet potato. Preheat oven to 180 °C. 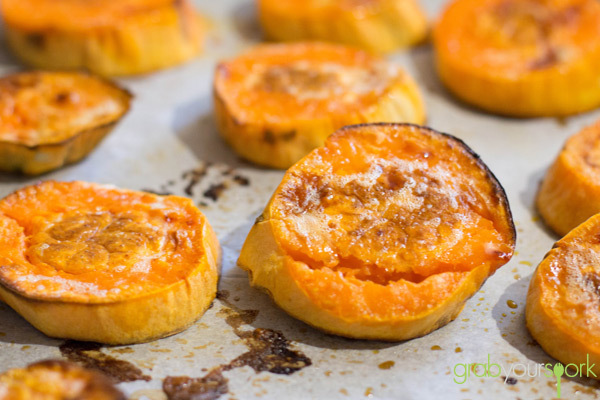 Bake the sweet potato in the oven for 45 minutes to an hour. Once the sweet potato is golden and soft in the middle it is ready. Allow to cool. 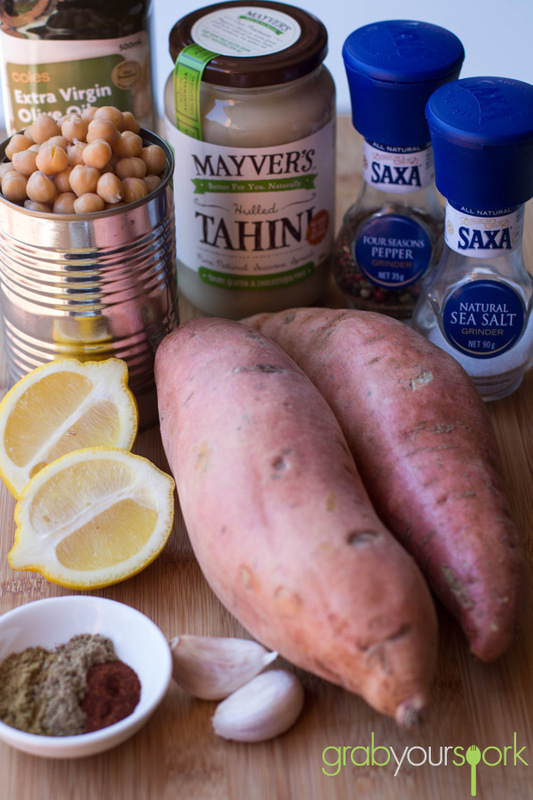 In a food processor, combine remaining ingredients with cooled sweet potato and puree. Scrap down the sides of the food processor as you go. You can thin the hummus with a little water if necessary. If you are sensitive to spice, season gradually. Serve fresh, or refrigerate in an airtight container, up to 1 week. Serve with crudités or crackers.